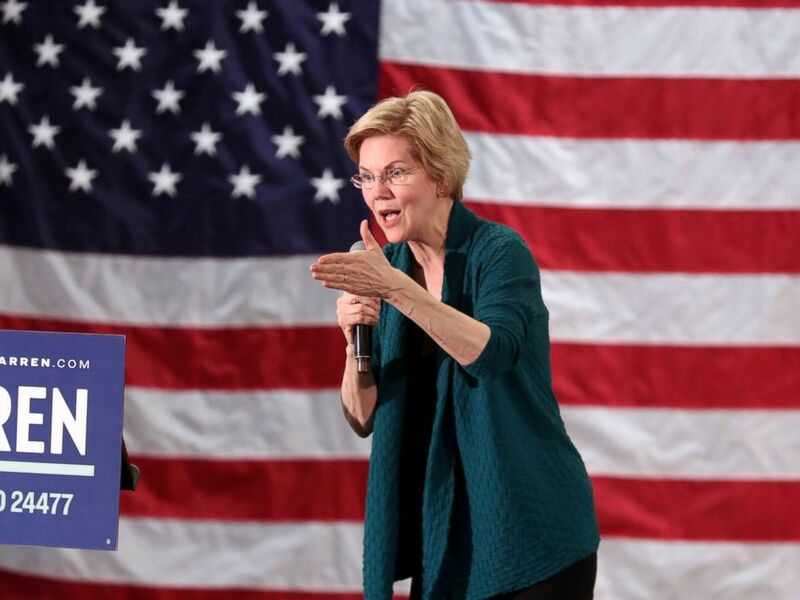 Democratic presidential candidate Elizabeth Warren has revealed a new higher-education platform that aims to eliminate tuition for two and four-year public colleges and cancel student loan debt for millions of Americans, the senator from Massachusetts announced Monday morning. The plan is the first from among the top Democratic candidates to propose fully eliminating existing debt for most students. It would create a one-time cost of $640 billion to the federal government and ultimately be paid for by an “Ultra-Millionaire Tax,” an annual 2% tax on the estimated 75,000 families with $50 million or more in wealth. Many of Warren’s challengers for the nomination are backing the Debt-Free College Act, which would pay for students attending a public college, but stopped short of full debt cancellation. Under Warren’s plan, $50,000 in student loan debt would be canceled for every person with a household income under $100,000.Those who make more, up to $250,000, would also get some debt cancellation. Anybody who makes more than a quarter-million would not receive debt relief. “My plan would provide at least some debt cancellation for 95% of people with student loan debt (and complete and total student debt cancellation for more than 75%), provide targeted cancellation for the families that need it most, substantially increase Black and Latinx wealth, and help close the racial wealth gap,” Warren wrote in a blog post. Warren explained that in order to keep debt out of the system, her plan would make public colleges free. The federal government would split the costs of tuition and fees with states and “ensure that states maintain their current levels of funding on need-based financial aid and academic instruction,” eliminating tuition at every two-year and four-year public college. Among these proposals is a plan to expand funding for grants supporting non-tuition expenses like room and board and books. Warren wants to expand who is eligible for those grants and invest an additional $100 billion in the Pell Grant program. The plan also calls for prohibiting public colleges from considering criminal history or citizenship status in admissions decisions and would create a fund specifically aimed at supporting historically black colleges and universities.